128min. Directed by J.A. Bayona. 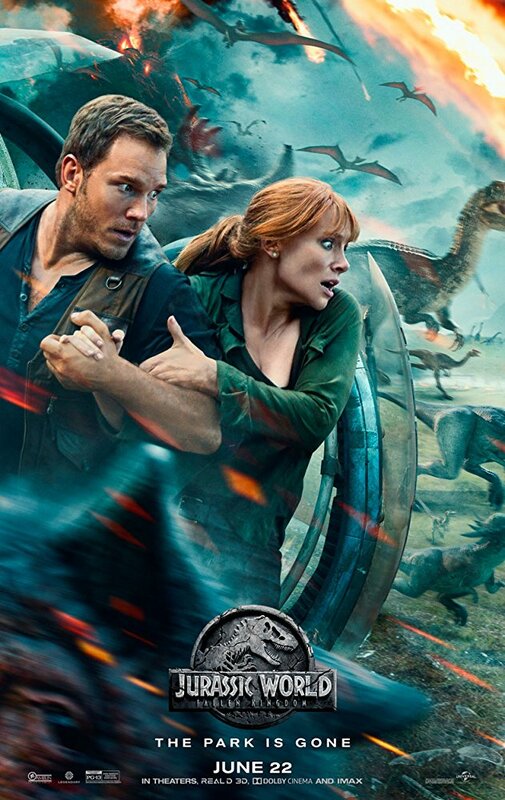 Four years after the destruction of the Jurassic World theme park, Owen Grady and Claire Dearing return to the island of Isla Nublar to save the remaining dinosaurs from a volcano that's about to erupt. They soon encounter terrifying new breeds of gigantic dinos while uncovering a conspiracy that threatens the entire planet.